Rescued – but by who?! 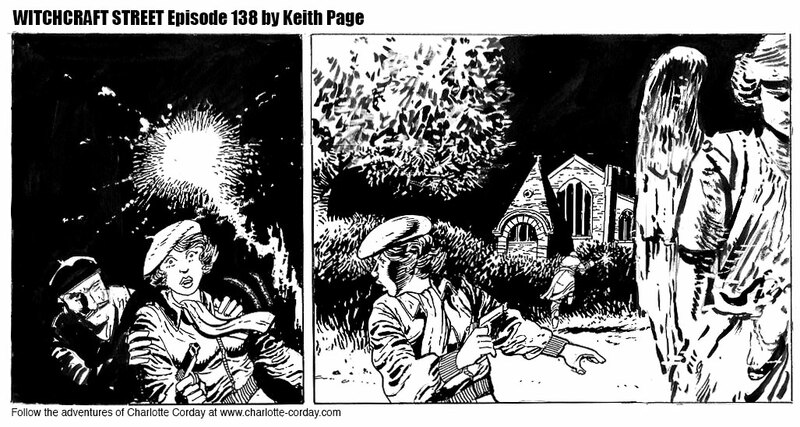 Charlotte Corday is a multiverse-spanning adventuress created by Keith Page. You'll find many of her adventures here, including “Witchcraft Street”. We're currently publishing "Blasted Trubshaw and the Time Before This". Charlotte Corday is © 2015 Stephen Walsh & Keith Page. Please ask for permission before using images and copy posted on this site. Thank you. Copyright © 2019 Charlotte Corday – Official Site. All Rights Reserved. The Magazine Basic Theme by bavotasan.com.